Did you know that it is possible to study abroad without paying anything at all? Education is expensive, but there are steps you can take to cover those costs without any out-of-pocket commitment. In this guide, we will explore how to study abroad for free so you can benefit from this amazing experience. The best way to study abroad for free is to obtain study abroad scholarships. These are designed specifically for people who attend school in a different country. There are some general study abroad scholarships that can be applied to any program. However, most scholarships are for a specific school, country, or degree. If you know where you want to study or what kind of study abroad program you want to enroll in, you can look for scholarships specific to your situation. How do study abroad scholarships work? 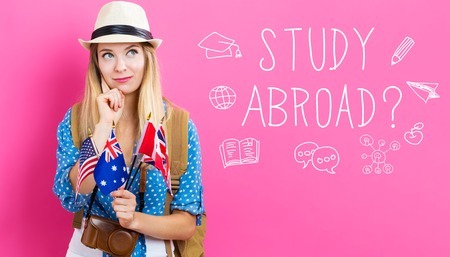 Every study abroad scholarship is different, but they usually have stipulations about how the money can be spent and the criteria you must meet to get funded. For instance, you may get a scholarship that covers your tuition and fees for one semester in another country. You may get a scholarship that covers the entire cost of attendance, including room and board, as long as you agree to work for a specific organization for two years after you graduate. You will need to evaluate these stipulations to determine if they’re right for you. Will study abroad scholarships cover all my costs? That will depend on the type of scholarship you get. If your scholarship does not cover all of your expenses, you will need to figure out what your cost of living will be while you’re there and see if you can afford the bills. Use the tips in the next section to help pay for your time overseas. If your scholarship money isnt going to cover your study abroad expenses, there are other ways to raise the funds. You could contact a company you’re interested in working with to see if they will sponsor your education. As we mentioned in the example above, this agreement may include a work contract for after you graduate. Another way to raise money to pay for studying abroad is to hold fundraisers. You could talk to local restaurants and hold fundraiser nights, where the restaurant gives you a portion of the sales for the evening. In exchange for that, you will promote the restaurant and hopefully encourage more people to dine in. There are hundreds of fundraising opportunities out there, from t-shirt sales to car washes and more. Get creative and find a plan that works for you. You could also explore work-study programs through the school you plan to attend or find a paid internship while you are overseas. You could even contact the school to see if they have any on-campus jobs you could work while you are there. Use all the resources available to you, and you’re sure to find a way to pay for your overseas education. Find the most affordable housing possible, whether that is on-campus or off-campus. Many countries have apartment complexes specifically designed for college students. The rent often includes minimal furniture, electricity, water and internet access, so the costs are lower than paying for those bills independently. Check the requirements of your scholarship before signing up for housing because they may say where you are/aren’t allowed to live. Eat at home as often as possible. Eating out is convenient, but the costs add up quickly. Save that for a special occasion. Learn about public transit in advance. Chances are you won’t have the money to rent a car, so you will need to walk or use public transit to get around. Understand how subways, buses and other modes of transportation work in the country you’re visiting so you can get around easily. Pack versatile, interchangeable clothes with lots of layers. You may not be able to carry much in your suitcase, but you want to avoid buying clothes once you get overseas. Pack solid colors and neutrals that pair well with each other so you can get a semester’s worth of clothing out of a simple suitcase. With proper planning and preparation, you can figure out how to study abroad for free. Find out how many students are actually studying abroad.